As the capitol of the state of Kansas, Topeka has a diverse selections of things to do and see that make it a great choice for a romantic getaway. It is also a cozy city in the Midwest United States that is a great spot to relax and get away from it all. 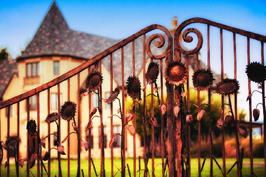 Stay at a “castle-like large chateau built in the early 1920s in replica of historic English buildings. The open 2 1/2 story library in this home is designed after the King Henry VIII Library at Hampton Hall in London with imported timbers and stones from England.” This Chateau is perfect to bring your sweetheart to for a getaway. You and your love will feel transported in time, while papered with contemporary luxuries like hottubs and electric fireplaces. Let yourself get swept away by the romantic atmosphere. 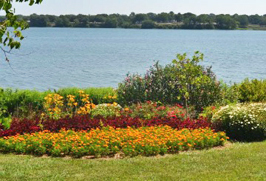 Topeka, KS has a beautiful lake to bring your sweetheart to that is perfect for a picnic date. Lake Shawnee offers camping year round for the more adventurous couple looking to snuggle up under the stars and enjoy the wide open spaces of Kansas. The lake is also the perfect place to take your love out for a romantic paddle boat ride or play a friendly game of disc golf and just enjoy the outdoor space within the city. Relax with your love and enjoy the view of the water while you fall in love in Topeka. 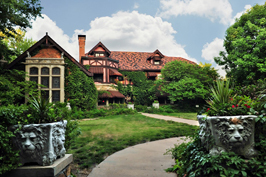 While you are enjoying the relaxing romantic getaway in the midwest, don’t forget to check out some of the tours of the area. While Topeka might have the air of a typical Midwest city, there really are a lot of things to see. For the historical buff couple, there is a tour of the areas historical sites. For the more outdoorsy couple there is a tour that focuses on all Topeka has to offer outdoors. A tour of the college area will feature local cuisine as well as great places for drinks. It is sure to be a great tour to take you sweetheart on for a fun filled way to make new memories. The Topeka area has a fair amount of museums to stroll through, such as the Mulvane Art Museum, The Kansas Museum of History, and The Evil Knievel Museum. 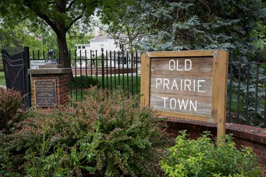 One museum that is sure to make memories is the Old Prairie Town museum. There you can get a feel of what life was like on the prairie and even stroll trough a botanical garden. Beyond museums, Topeka, KS has a zoo, a symphony orchestra and many fine parks in the area, including Gage Park. 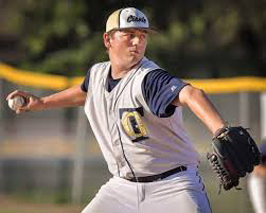 Topeka, KS isn’t home to any major league team, however it does have a few teams of note in the area, the Golden Giants who are a member of the Mid-Plains League and the Topeka RoadRunners who are a Tier II junior ice hockey team. The Golden Giants can be seen in the summer as they are a summer league and if you catch a game you can see how it was played back when wooden bats were in fashion as that is what they use. So, while Topeka isn’t a sports mecca, don’t count it out as there are still opportunities to take your love to root for the home team.